Description: Perler Fused Bead Accessories and tools will make your Perler Fused Bead experience fun and easy. 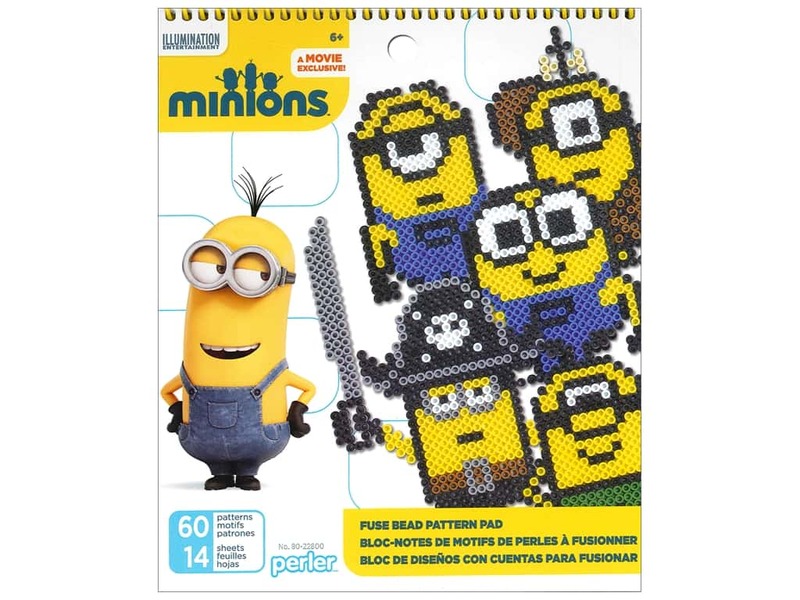 Pattern Pad Minions- Spiral-bound pad filled with a total of 60 different fuse bead patterns for adorable little Yellow guys, even one that is totally 3D. Along with the drawings the designs tell you which colors to use and how many of each color you'll need. Beads and pegboards sold separately. See more Perler Bead Accessories.